This delicious and wonderfully comforting fall casserole is perfect to serve alongside roast meats or poultry; it’s a real Thanksgiving hit! Make ahead and reheat for foolproof entertaining. During the holidays we make special efforts with all aspects of the menu, including side dishes. Combining both sweet and yellow-fleshed potatoes with bacon, leeks and three Canadian cheeses elevates this gratin to the extraordinary. Serve this stunning side dish on special occasions with roast chicken or pork. So substantial, you could even serve this gratin as a weeknight entrée with a tossed green salad. Preheat oven to 400°F (200°C). 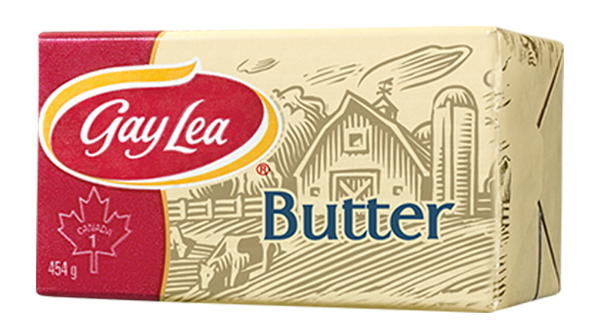 Lightly butter 8 cup (2 L) shallow baking dish. In a large skillet on medium high, cook bacon until crisp. Transfer to paper towel-lined plate; set aside. Drain off fat from skillet, reserving brown bits; reduce heat to medium and melt butter. Add garlic and leeks; cook, stirring often, for about 3 to 5 minutes or until slightly softened. Remove from heat; season with thyme and stir in mustard and cream; set aside. Peel and thinly slice potatoes about 8” (3 mm) thick. Place one third into prepared dish; sprinkle with half of reserved bacon. Spoon half of the leek mixture over top. Repeat layer of potatoes, bacon and leek mixture. Top with remaining potatoes. Cover with aluminum foil and bake for 40 to 45 minutes or until potatoes are tender when pierced with a knife. Remove foil and sprinkle with cheese; bake for 8 to 10 minutes or until cheese melts and sauce is bubbly. Let stand for 5 minutes before serving. Sprinkle with chives. Cut potatoes in half and wash well. Use a mandolin or food processor to make thin, even potatoes slices. To make slicing easier, cut potatoes in half crosswise and place flat edge down on mandolin. Make individual gratins in six - 1 cup (250 ml) buttered ramekins; place ramekins on baking tray to catch any overflow and easily place in oven.